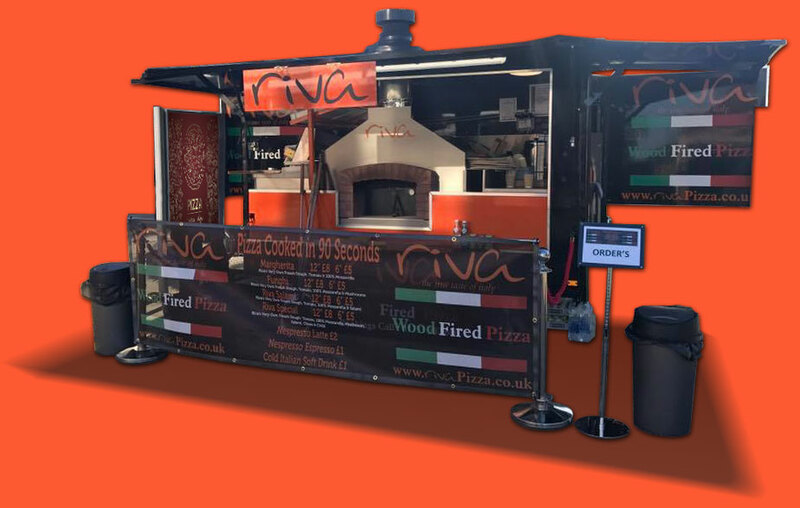 Riva Pizza provide mobile wood fired pizza catering at a venue of your choice. Book one of our smart trailers and it will arrive complete with a wood fired oven, pizza ingredients and fully trained staff and can be booked for any ocassion including festivals, wedding receptions, events and private parties. Based in the City of Peterborough Cambridgeshire, Riva Pizza can provide delicious oven fired pizza within a radius of up to 60 miles of our base (see our Geography page for details on the regions we cover). or call Lee on 07555 60 60 90. Make your big day even BIGGER! Make you wedding day even more unique with a wood fired pizza stand. Book one of our wood fired pizza stands and top of your event. Riva Pizza bring to you the true taste of Italy, find out how we do it. Pizza dates back to the 18th Century. Plain flatbreads called 'Pizza' were produced and sold on the streets of Naples in Italy by street vendors for the peasants , later the acceptance of the tomato by the Neopolitans and ultimately the visit of Queen Margherita of the ruling Savoy family to Naples contributed to the pizza experience we know and enjoy today. Got a question you would like us to answer? Find out where Riva are plus up to date news and events with our Facebook feed. Riva Pizza provide mobile wood fired pizza catering for weddings, events and private parties in the east midlands Uk.